Spread your wings...and let your brain fly! Can you use your brain to create beautiful butterflies from random parts? 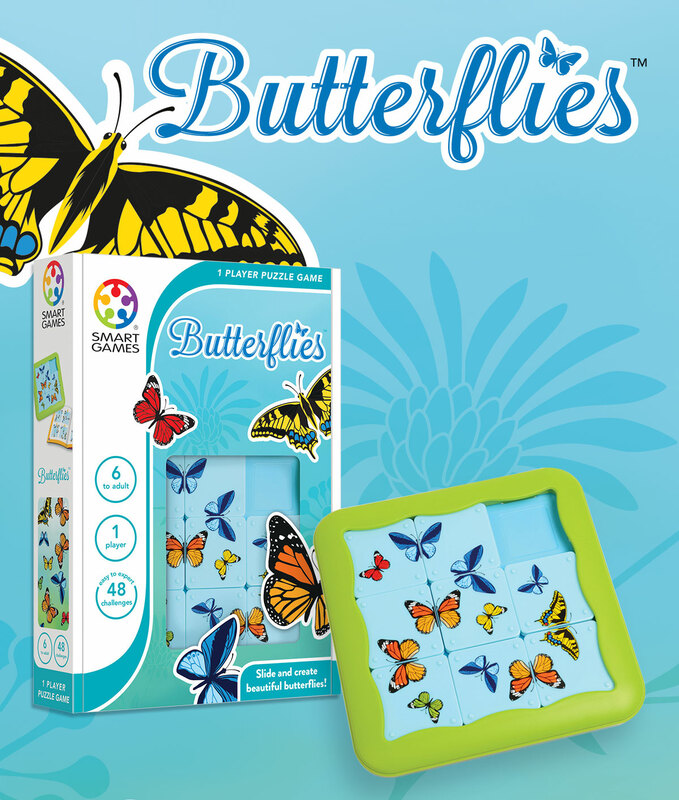 Butterflies is a unique and fun sliding puzzle featuring 48 challenges, from easy to expert. A perfect, compact travel game that includes a storage compartment for the puzzle pieces and challenge booklet.